A couple of weeks ago I was contacted by local residents who complained that their nearby road sign was leaning over dangerously after it was struck by a car. 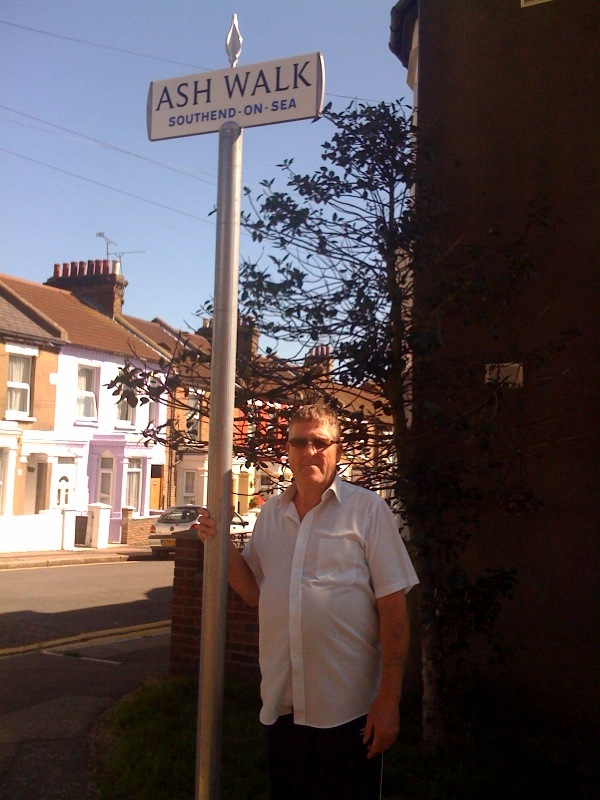 I contacted the Highways Department of Southend Borough Council on behalf of the concerned residents and was delighted that they agreed to install a new road sign. Residents rightly take pride in their local community and part of this includes its visual appearance. The state of the sign was to the detriment of the local environment and the residents are delighted with their new signage. Unfortunately I would not like to comment on whats happened in the past couple of years as I was only elected in May. As you can see since May and getting involved with this issue, action has been taken.